Ooh, I think I'm the first to enter! Yay. +7 posted a blog post about it. Woot for an awesome prize pack! Oh, I'd love to get my hands on these books (and read them, of course)! Please enter me! +1 linked to my blog sidebar. This a fantastic giveaway! I'm a new follower. Awesome thanks! I'm a follower. Please include me in your giveawawy. I am a follower. I would love to b entered. I haven't read this series yet and I would love to read it with my sons so please enter me to win! Thanks! 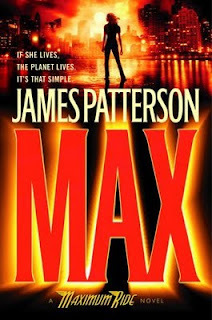 I love James Patterson's books. Please enter me. Thanks! Oh my son would love these! Please enter me!